Vakantiepark Koningshof in Rijnsburg - the best offers! This price applies to 2-person mobile home/caravan Sunhome, with the arrival as 27 April 2019, 2 Nights. 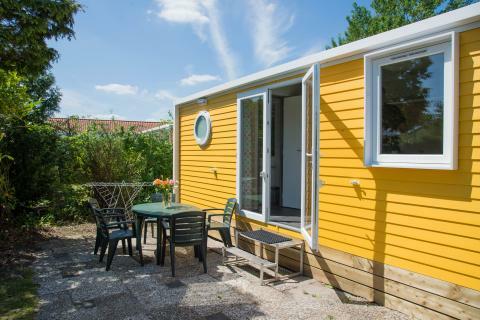 This price applies to 4-person mobile home/caravan Naturhome, with the arrival as 11 June 2019, 3 Nights. This price applies to 5-person mobile home/caravan, with the arrival as 11 June 2019, 3 Nights. 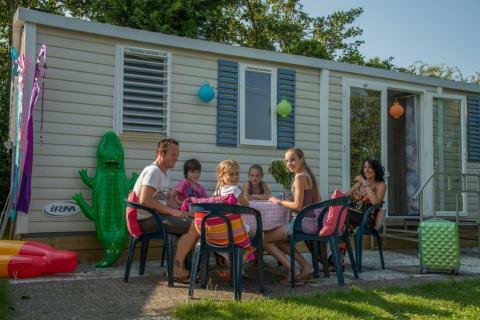 This price applies to 6-person mobile home/caravan Sunhome, with the arrival as 11 June 2019, 3 Nights. 50% of the total booking amount is due on or before 21 days after booking. 100% of the total booking amount is due on or before 21 days before arrival. Booking deposit: €50.00 per accommodation. 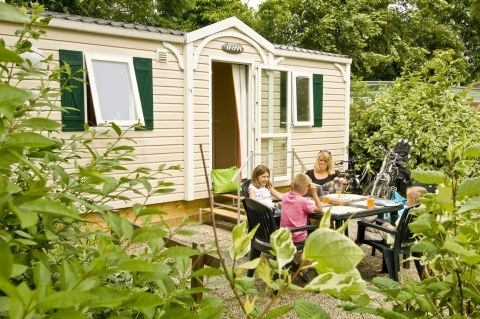 Holidaypark Koningshof is the perfect place to vacation if you enjoy some peace and space. The holiday park is located in the quiet area and the location is nestled in the flower fields of Rijnsburg. The North Sea coast and beautiful dunes are also located nearby, perfect for a stroll with your loved ones. 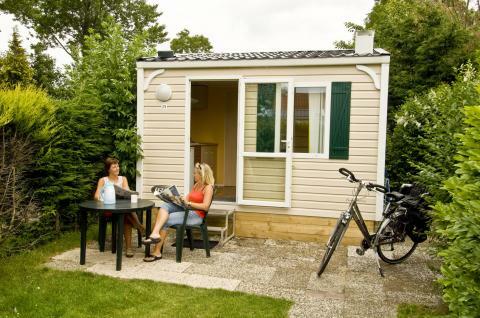 Holidaypark Koningshof has a range of facilities that you can benefit from as one of their guests. Sport lovers can partake in games of lawn tennis, volleyball, or even table tennis. There is also an outdoor as well as indoor swimming pool which is perfect for colder weather as you can still go for a dip. Children can splash around in the heated outdoor swimming pool which also has a separate children’s pool (open from mid-March to mid-September). There is also an indoor swimming pool which is ideal for any weather and is designed with a shallow end for kids (open from mid-March to mid-November). During school holidays, excluding Christmas, there is a leisure program to keep children entertained in the leisure center ‘De Prinsenhof’. If you are looking to have a charming meal with your loved ones, then you can dine at the holiday park’s cosy restaurant. For a quick snack you can simply visit the snack bar to enjoy a bite on the go. Holidaypark Koningshof is surrounded by flower fields as it is located in Rijnsburg which is in the flower bulb region of the Netherlands, known for tulips and big flower fields. You can also enjoy a stroll on the North Sea beaches of Noordwijk or Katwijk. If you are interested in daytrips to other cities then you can visit Leiden, Amsterdam, Delft, Rotterdam, and the Hague which are easy to reach by public transport. There is no organized entertainment programme for children during the Christmas break. The restaurant, snackbar and the supermarket are closed during the low season (November- March).